Christmas is just a few weeks away and we wanted to share a perfect stocking stuffer for the chef on your shopping list. We don’t keep a lot of specialized tools around the kitchen, but when we recently had the opportunity to try one of Chef’ns newest products, the Twist’N Sprout (c/o), it earned a place in our kitchen. Someone definitely should have thought of this product sooner. Brussels sprout leaves are pretty thin and delicate, and the core on the bottom is really thick and dense. So it makes sense that if you get rid of some of the thick, dense core, the whole thing will cook faster and more evenly. Trying to clear out the core with a knife would be time consuming (and dangerous). With the new Twist’N Sprout, all you have to do is rinse your sprouts, then stick the stem end against this tool, and twist. The perfectly cored sprouts go in the pan, and the cores go in the compost bin. 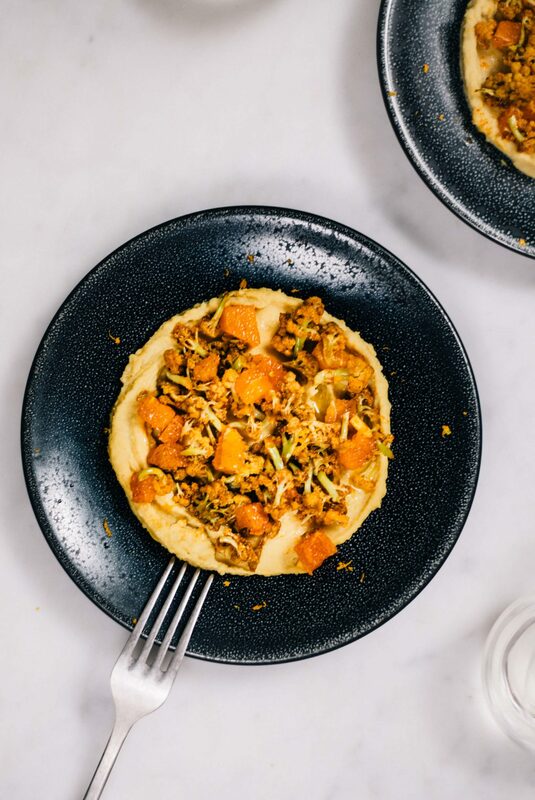 It only takes a few seconds, and we noticed that every time we’ve used it, the sprouts cook significantly faster and have better texture and flavor (we are pretty sure the core is not the best part). We’ve mentioned before how much we love Nigel Slater’s vegetable cookbook that Clayton’s mom got us a few years ago. We’ve made the “A rich dish of sprouts and cheese for a very cold night” a few times, and Clayton’s mom made them for Thanksgiving this year. 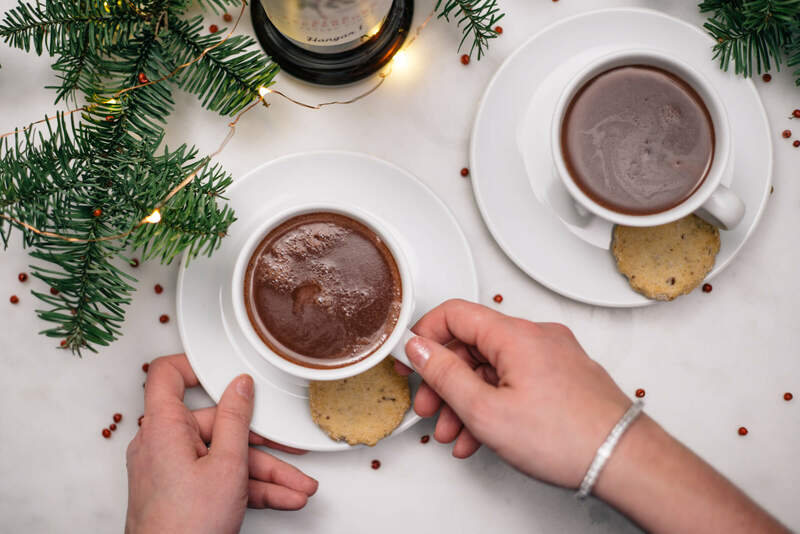 We wanted to share our twist on the recipe because it’s perfect to make for a holiday dinner you are hosting or bring to a holiday potluck. It’s so good that even people who claim to not like brussels sprouts will love it! Stilton is a British blue cheese which goes perfectly with the parmesan and brussels sprouts. We used these new containers (c/o) to measure and mix our liquids. It made for easy pouring directly into our baking dishes. We’ve had these for years, but we found similar ones that we liked here, here, and here. If you’re making individual portions, make sure to set them on a baking sheet as they are sure to bubble over with cheesy goodness. Otherwise, you can make the brussels sprouts in a single baking dish like this or this. We hope you enjoy this dish as much as we do! 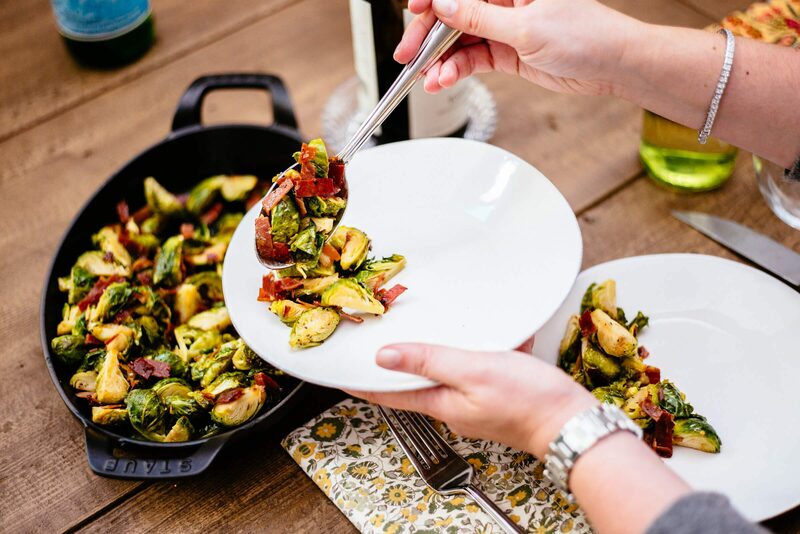 If you don’t love brussel sprouts, give it a try! Preheat oven to 350F degrees. Rinse brussels sprouts and remove the tough core with a Twist'N Sprout. Place the brussels sprouts in a baking dish or sheet pan and toss with olive oil, salt, and pepper. Roast the brussels sprouts in the oven for 20 minutes, or until they are just cooked through. Do not let them get too soft as they will be baked again. 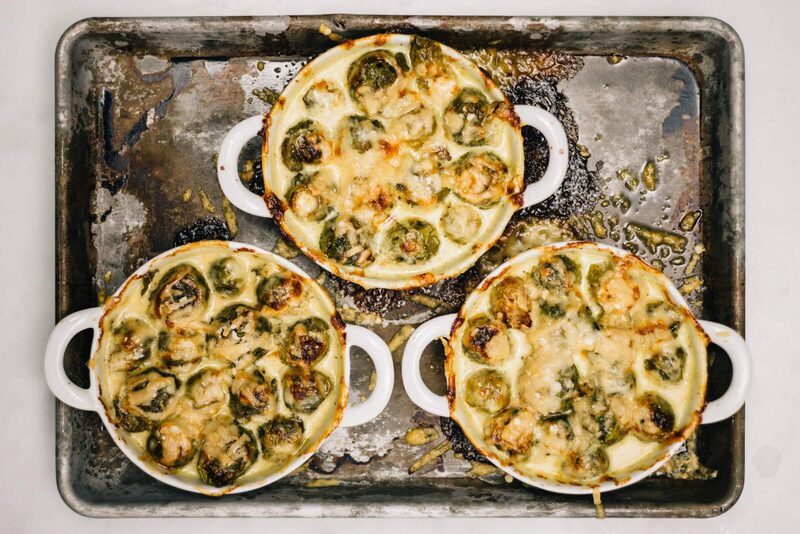 Transfer the cooked brussels sprouts to a small baking dish or individual ramekins. Crumble the stilton cheese over the tops of the brussels sprouts. In a separate container, combine the cream and mustard, then pour over the brussels sprouts. Sprinkle grated Grana Padano over the top of the brussels sprouts and bake for a further 25-30 minutes, until the cheese is bubbly and beginning to brown on top.